Hiding on the inside cover of the Spring/Summer Catalogue the All That You Are stamp set might be one which you’ve over-looked, I know I did for a couple of months. 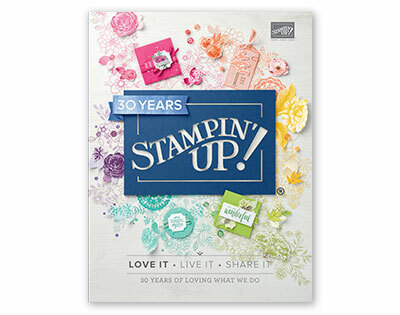 It’s a stamp set which contains lovely floral images and the best thing is the two smaller flowers can be cut out with the First Frost dies which carried over from the Autumn/Winter catalogue. I love the main floral image so wanted to highlight that by creating a very simple card, so out came my Stazon ink and water-colour pencils. Using the Rectangle Stitched Dies to add a sentiment and some of the Black Cord finishes the card off and makes it look elegant. 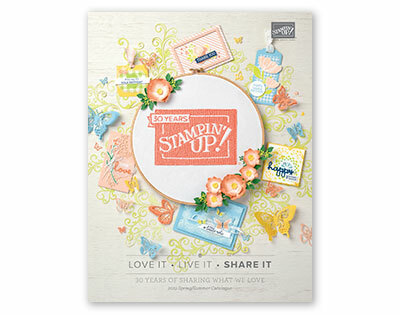 Today I’m featuring a product made using one of this years Sale-A-Bration stamp sets Hello Cupcake. Sale-A-Bration is one of my favourite times of year as throughout January, February and March for every £45.00 you can choose one item from a selection of exclusive free items. Hello Cupcake is one of my favourites as its main images create these yummy looking cupcakes. I’ve paired the stamped image with this Coastal Cabana striped paper from the How Sweet It Is Designer Paper to create and bright and fun card. To add a little embellishment to the card I’ve added some Powder Pink Iridescent Sequins with the help of the Fine-Tip Glue Pen and my trusty Take You Pick Tool. I’ve also added some layers using the new Rectangle Stitched Framelits Dies which I think are a great addition to our die range and one I can’t wait to use on many more projects soon.